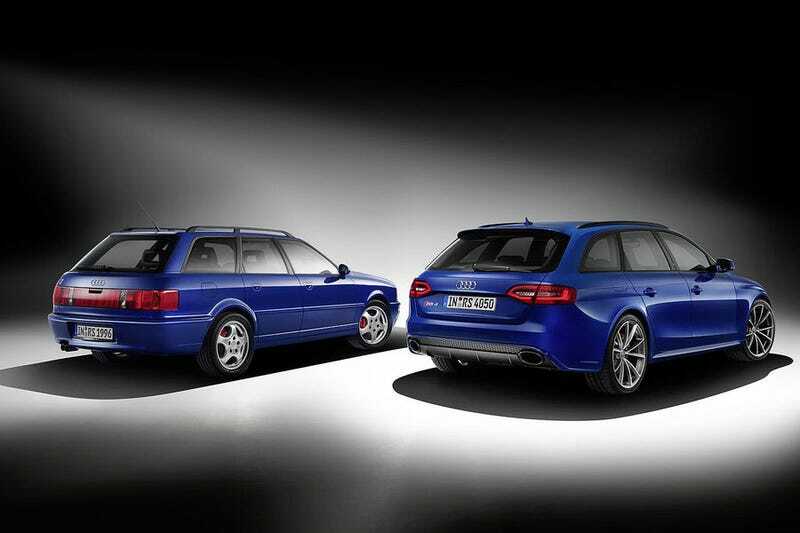 Seemingly inspired by BMW's hideous M6 special edition for China, Audi presented the RS4 Nogaro Selection. What has changed? They painted it in Nogaro Blue - the same color used on the Porsche developed RS2 - and it has a few blue elements in the interior. And some sort of badge showing everyone that you paid 10k extra on the base car to have this "special edition". It can be yours for 87.300€. Come on, Audi, you can do better. At least give it RS2 inspired rims and a bit more power. Right now this is nothing more than a trim level.